The Russian Foreign Ministry has issued a statement expressing deep concern over Israel’s airstrike on Syria saying that it violates the UN Charter. The Ministry website says; if this information is confirmed that would mean that we have to deal with unprovoked attacks on the territory of a sovereign state which is inadmissible, whatever objectives are declared as a justification. Russian diplomats are taking urgent measures to clarify the situation and to establish the details of the incident. Russia has again called upon the international community to stop the violence in Syria, prevent foreign intervention in the conflict, and assist the start of a nationwide dialogue based on the Geneva agreements. Syrian military command reported that Israeli aircraft bombed a research facility near the country’s capital Damascus on Wednesday killing two people and wounding five. The statement called the attack a “blatant act of aggression” and blasted Israel for supporting Syrian terrorists. 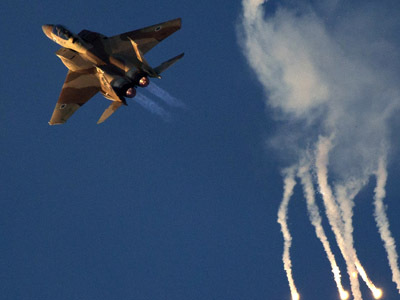 So far, the Israel has refused to comment, but unnamed sources in the US have told news agencies that the Israeli Air Force did strike a truck convoy on the Syria-Lebanon border that supposedly carried anti-aircraft weapons. Lebanese media has reported a number of air raids conducted by Israel war planes over its territory but said nothing about any strikes. 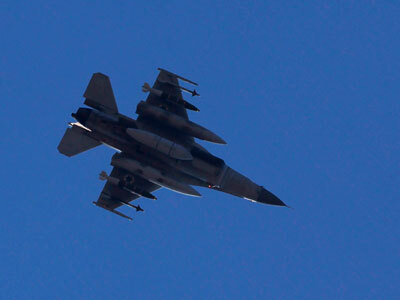 If confirmed, the air strike will be Israel’s first attack on a Syrian target since 2007 when the Israeli Air Force destroyed what they thought to be an almost complete nuclear reactor in the east of the country, near the border with Iraq. Syria denied the site was a nuclear facility. Wednesday’s alleged attack would also be Israel’s first direct intervention into the almost-two-year Syrian crisis caused by the standoff between President Bashar Assad and an armed opposition supported by radical Islamists. Russia has repeatedly called upon the international community to help stop the violence by forcing the opposing sides to negotiation table. Foreign Minister Sergey Lavrov says it was the opposition that rejected talks in Syria adding that the crisis would end when the opposition abandons its obsession with ousting Assad, and if this does not happen the fighting will continue and more people will die. At the same time, Lavrov pointed out that the Russian point of view was that preserving or deposing President Assad’s regime was not a priority. 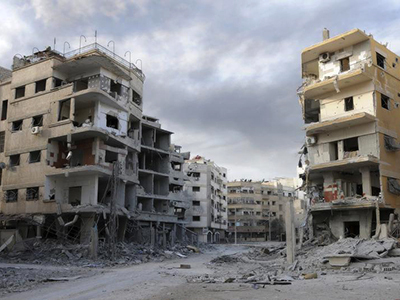 What really mattered, he said, is an immediate stop to the bloodshed and the stabilization of the situation in Syria.